EVGA has joined Gigabyte in becoming a supplier of Nvidia GeForce GTX 1050 3GB graphics cards. 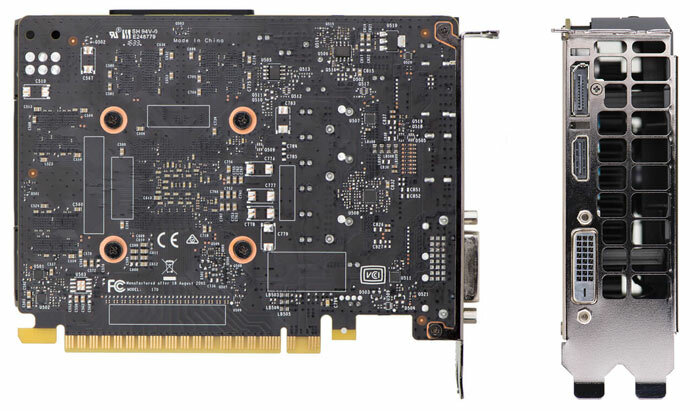 HEXUS first noted that this 3GB graphics card had become official, back at the end of May, when Gigabyte published the first product pages. It did do before Nvidia shared the base specs of this 3GB model, however Nvidia now provides this information. 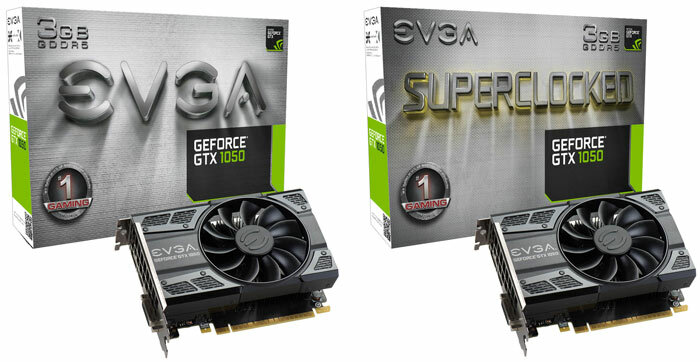 A few hours ago EVGA's Global Product Management Director, Jacob Freeman, tweeted about the introduction of the EVGA GeForce GTX 1050 3GB graphics card, and its otherwise identical but 'Superclocked' brother. If you head on over to the EVGA site you will discover that the two SKUs are more fully described as the EVGA GeForce GTX 1050 GAMING, 03G-P4-6151-KR, 3GB GDDR5, ACX 2.0 (Single Fan), and the EVGA GeForce GTX 1050 SC GAMING, 03G-P4-6153-KR, 3GB GDDR5, ACX 2.0 (Single Fan). 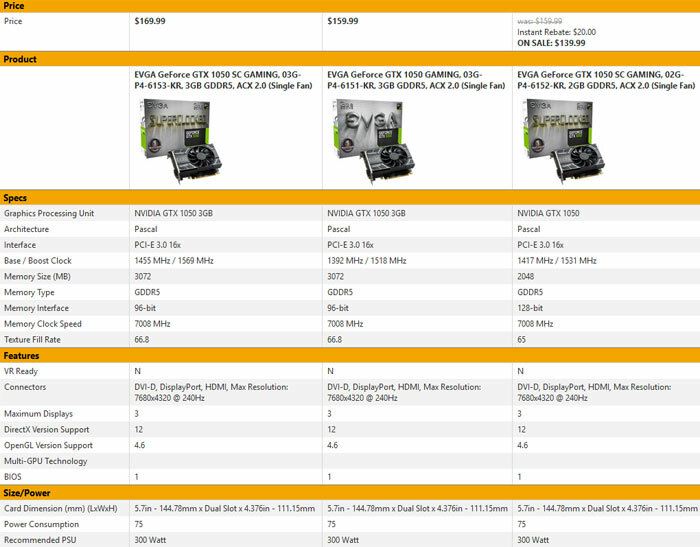 I've used the comparison feature built-into the EVGA website to make the specs very clear and I added an older EVGA GeForce GTX 1050 SC GAMING, 02G-P4-6152-KR, 2GB GDDR5, ACX 2.0 (Single Fan) into the mix for context. As mentioned in our previous news story about the (Gigabyte) GeForce GTX 1050 3GB, it adds memory and seems to be able to offer slightly faster clocks but the memory bus width is cut from 128-bit to 96-bit. However, an important specification not compared by EVGA's online tool (shown above) is the number of CUDA cores enabled. The new 3GB boards have 768 CUDA cores (instead of 640), the same amount as the GeForce GTX 1050 Ti. Overall, the tale of the GeForce GTX 1050 3GB is that it is sometimes faster and sometimes slower than the old 2GB version of the GTX 1050, and that it packs an extra 1GB of graphics RAM. HEXUS hasn't reviewed one of the new Nvidia GeForce GTX 1050 cards with 3GB as yet, for real-world observations. I have spotted a review of the new card over at Tom's Hardware though. Last week they tested all three GTX 1050 variants and concluded that the new 3GB model "is mostly an upgrade over the 2GB version," but were concerned about possible pricing. In my table above, the pricing does look rather high, especially as there is an offer on some GTX 1050 2GB boards right now. I guess we should get used to the same model of card being marketed with completely different specs from now on then, talk about confusing for people who don't pay much attention to technical details. Shhhhhhh, new NDA! The first rule of Geforce Program is that you don't talk about Geforce Program.